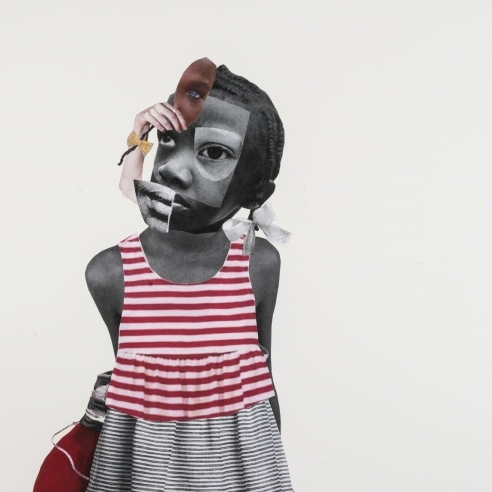 Deborah Roberts is from Austin, Texas, where she continues to live and work. 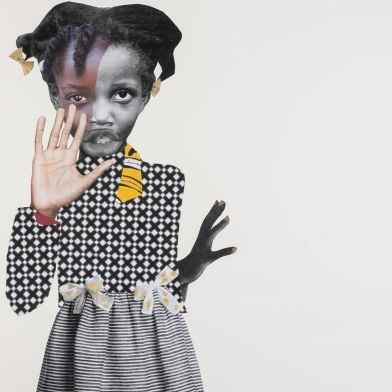 She was featured in Fictions at The Studio Museum in Harlem, which has just closed and will have an upcoming solo show at the Spelman College Museum of Fine Art, Deborah Roberts: The Evolution of Mimi, which runs concurrently with Deborah Roberts, Uninterrupted at Jenkins Johnson Gallery, January 23 to May 19, 2018. 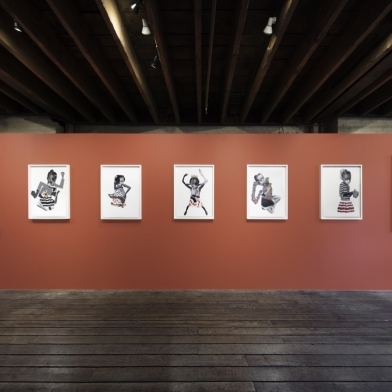 She has a group exhibition at MASS MOCA in 2019.